How many times have you heard it said, “it’s not personal, it’s business?” At Working Person’s Store, we follow more of an “it’s personal, not business” mentality. Yes, we’re a business, but we take our customer’s satisfaction and safety persona ... (see full details) (see specifications) #RBKRB1860. How many times have you heard it said, “it’s not personal, it’s business?” At Working Person’s Store, we follow more of an “it’s personal, not business” mentality. Yes, we’re a business, but we take our customer’s satisfaction and safety personally. When you’re looking for safety and comfort in a pair of athletic shoes, we want to provide you with the best choices. We put a lot of thought into the work shoes we provide and the Reebok Men's Black RB1860 Jorie EH Non Metallic Athletic Composite Toe Shoes are just one example of the many fine styles we offer. If you’re looking for safety features, then take a look at the features on these black athletic shoes, which are perfect for wearing as restaurant shoes. With a composite toe that meets ASTM F2413-05 standards for foot protection, these sneakers will keep your toes safe from rolling and falling objects. Lighter in weight when compared to steel toes, composite toes will not conduct heat or electricity. In addition, this footwear is electrical hazard rated which means you’ll be safeguarded against open circuits. These safety shoes are also 100% non-metallic, so passing through metal detectors and security systems is easy as can be. Inside these Reebok shoes is Tailex lining that is breathable and helps to wick moisture away to keep your feet drier. It’s also silky-soft, so your feet will be surrounded by a gentle layer. After walking on a hard floor all day, your feet will appreciate the removable EVA cushion insert with a sponge rubber heel wedge. Your feet will be cradled by a layer of support and softness. The EVA cushion midsoles provide even more cushioning. The SureGrip Plus rubber outsoles on this this footwear makes sure you’ll stay safely on your feet as you move about the work floor. With a name like SureGrip, you can be sure theses soles will grip the ground. The outsoles are also slip-resistant, oil-resistant, abrasion-resistant and chemical-resistant. We are a business that puts our customer’s personal satisfaction first. If you’re not happy, we take it personally. To make sure you’re happy we offer you a pair of Reebok Black RB1860 Jorie EH Non Metallic Athletic Composite Toe Men's Shoes. If you liked the C1860 you will love the RB1860. I wear work shoes 10+ hours per day. These have been the most comfortable I have had in years, I really like the composite toe v. the steel toe. Have held up very well so far. I recommend these shoes particularly for outdoor wear. I wear them in the rain sometimes and they are very waterproof as well. these shoes are made for walking and they are comfortable. I would recommend these shoes to anyone who stays on their feet longer than 3 hours a day. I am constantly WALKING and I have vey little time to sit down so a shoe like this makes my day much easier. BUY THEM FOR YOURELF AND SEE! I'd recommend these Reebok shoes if your job requires a lot of walking and on concrete. I wouldn't rely on them too much when it comes to safety though, if you work on hazardous areas. Boots are still the best. The good thing about these shoes is that you can wear them even outside work, with extra protection. Overall good shoes! The price was half of the competitions, delivery was on time and the composite toe is light weight. As for the durability, time will tell. My contact with your staff was helpful and pleasant. I normally wear boots and these will be a lightweight alternative when boots are not required. The price was half of the competition, delivery was on time, composition toe is very light and extremely comfortable. Time will tell about length of durability. I normally wear boots and this is a great alternative when the need for boots is not required. 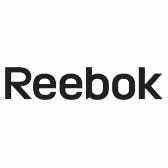 Reebok Shoes: Men's Black RB1860 Jorie EH Non Metallic Composite Toe Shoes is being added to your cart.